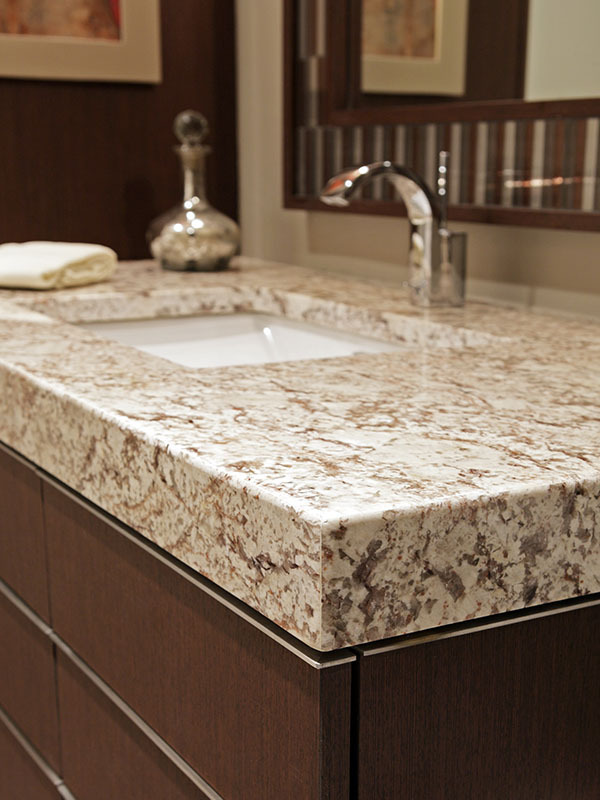 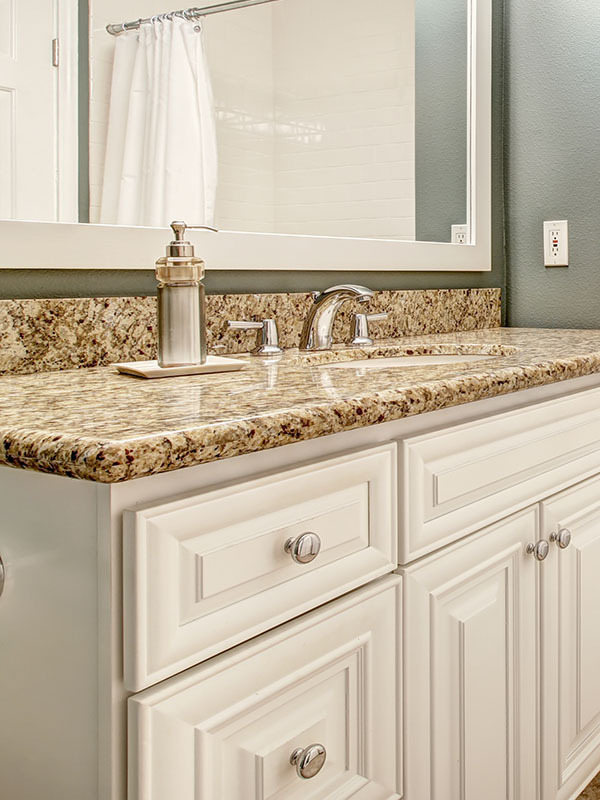 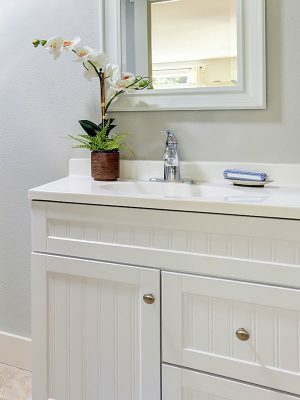 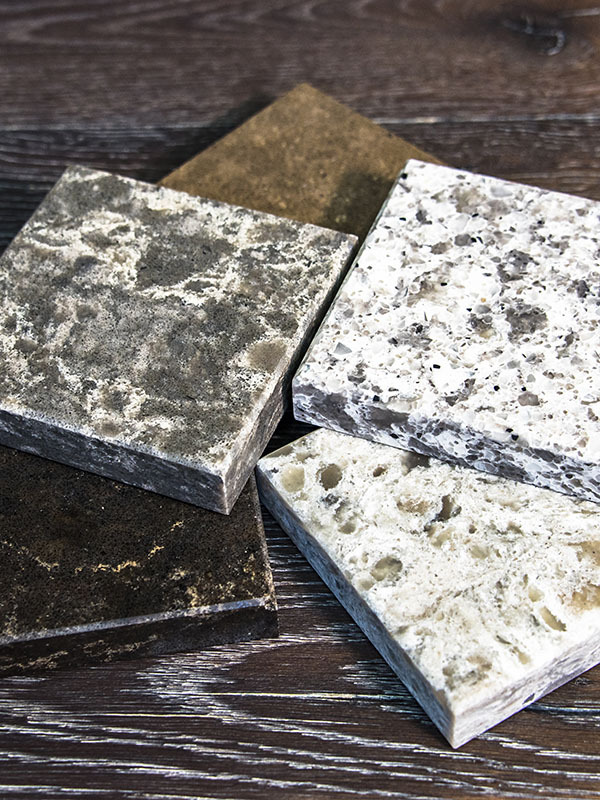 Bathroom vanity tops are available in precut sizes starting at 25” all the way up to 61”. 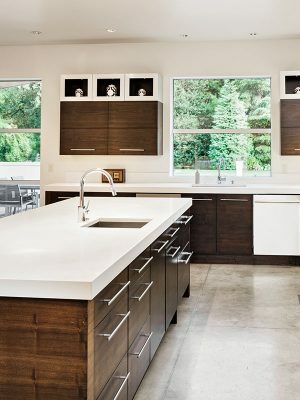 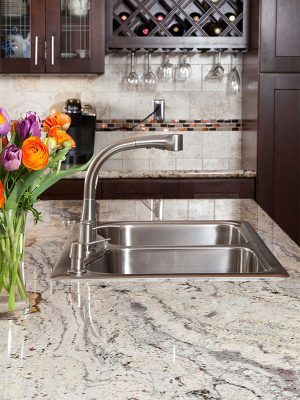 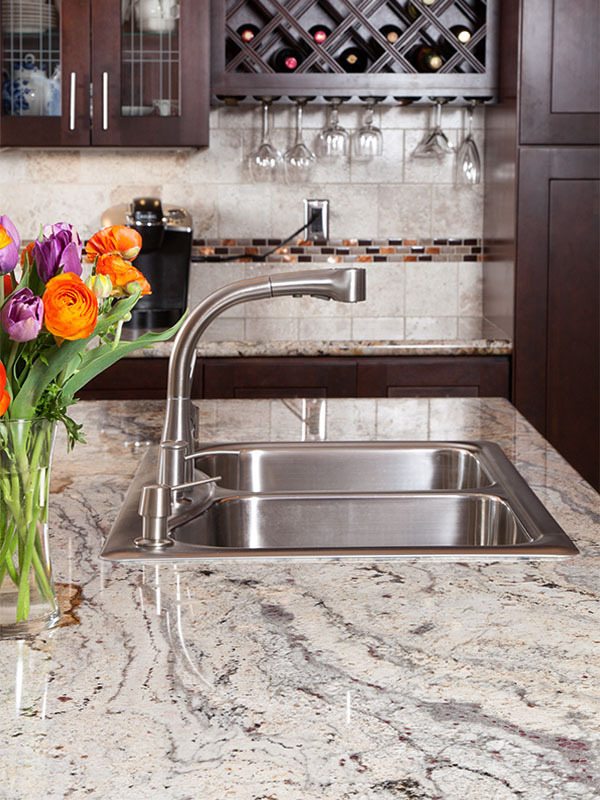 Tops are cut for single or double bowl sinks, all of which include preinstalled undermount sinks, predrilled 4” faucet holes, as well as an included 4” backsplash! 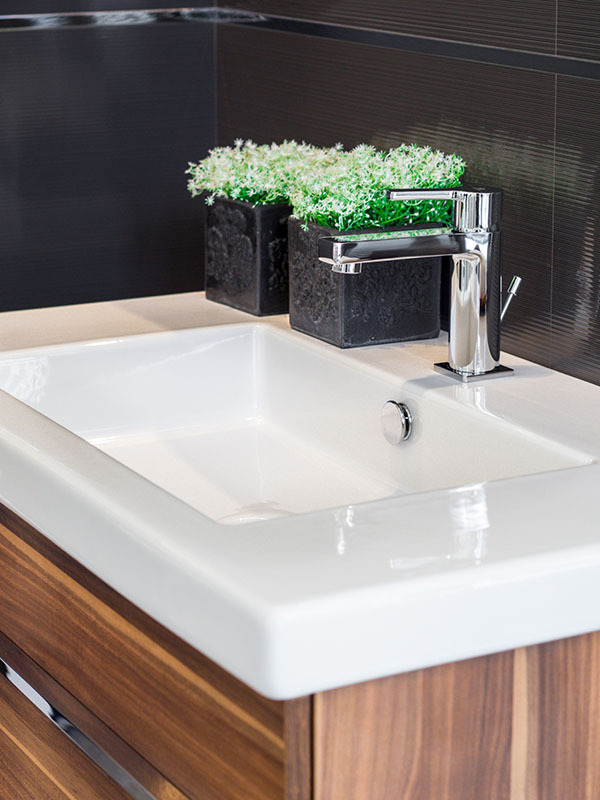 Additional side splashes sold separately. 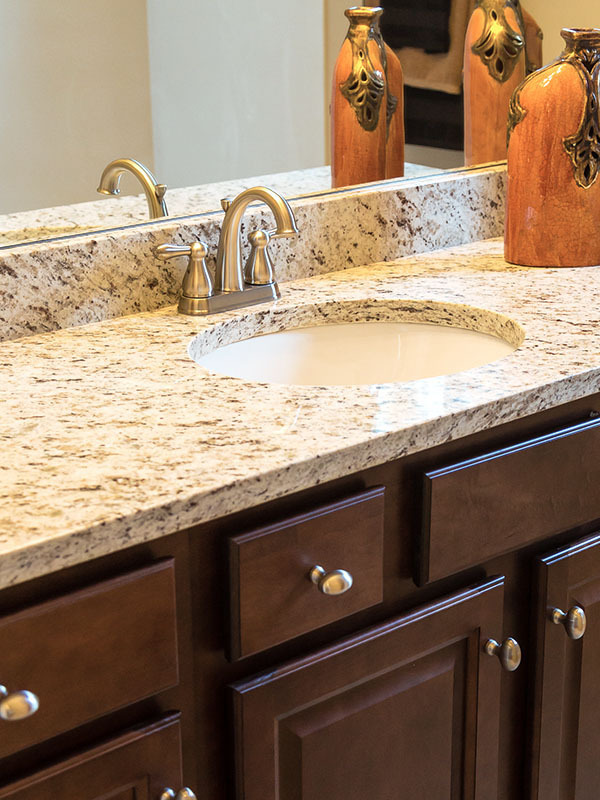 NOTE: All images are intended to reflect types of products we carry, not representative of actual inventory.